India is one of the founding members of the United Nations but at that time it was under British rule and economically backward. With its improving economic conditions, rising GDP, India has been eying the permanent membership of the Security Council for long. A permanent member is expected to provide its support to the LINSC in all aspects in order to maintain international law and order. Though this doesn't mean the member has to possess nuclear weapons, it must have a strong military trained at par with the international standards. The reforms in the membership of the UNSC have to be backed by the UN General Assembly. In a bid to pursue its membership, India formed an alliance with Brazil, Japan, and Germany to give momentum to its campaign for a permanent seat in the UN. These countries decided to get a push through a United Nations General Assembly (UNGA) resolution in 2005 which initially gained momentum but backfired later on. This move was doomed as a result of many factors. Due to a lack of consensus among the African countries regarding its representative for UNSC, there wasn't a single representation from the African continent. The strained relations between China and Japan is another factor for the backfiring of the resolution. The Indian government has been actively taking forward this matter at the United Nations' General Assembly meeting, summit level interactions and during the visits of top global leaders and diplomats of foreign countries. The efforts bore fruit with almost 200 members of the United Nations agreeing for the negotiations in the wordings of the document that called for reforming the Security Council. The UNGA has decided to commence negotiations in the 70th UNGA session. The framework document was circulated in 2015 after extensive consultations, to serve as a sound basis for the next stage of consultations. Different countries have submitted written and detailed opinions, as wells as suggestions, on issues such as regional representation, veto, categories of memberships, working of the Security Council and its relationship with the General Assembly. The major setback was from the US, China and Russia who expressed their opinions out of the framework document. This meant that these countries were not much keen to pace up the discussions. In fact, this was a shock for India, who had always believed that it has support from these countries in one or the other form. Although the US and Russia claimed to stand by their verbal support for India's membership, there was no sound basis of the same. France favoured the inclusion of India and the other G4 (Brazil, Germany, India and Japan) countries along with a representative from Africa in the permanent council and expansion of the non-permanent members in the UNSC. Many experts have claimed India's efforts to be futile in terms of getting the membership of the UNSC. But it is important that India along with all the other members of the UN should be more innovative in bidding its proposals. In the bid to back a permanent seat, the G-4 nations have compromised on their veto power, the claim for which will be suspended for fifteen years or so. India's position on the Non-Proliferation Treaty and its border disputes with China and Pakistan are considered as the roadblocks to its permanent membership. The India-US nuclear deal was bound to give recognition to India's nuclear status, but India's non-NPT status is acting as a major barrier to India's entry into the Nuclear Suppliers' Group (NSG) and Missile Technology Control Regime (MTCR). It is the permanent members of the UN who have the power to handle the international security related issues. This lack of democracy in the UNSC has a direct effect on the multilateral relations. In the past, the UNSC was unable to handle the issues of Libya and Syria effectively. In case, meaningful reforms are brought about in the UNSC, they would be helpful in resolving the global challenges. India's economy is developing at a rapid pace and has an important role to play in the international affairs. 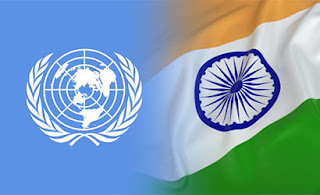 India's claim to permanent membership is justified by the fact that Indian army is the largest contributor to the United Nations' peace keeping missions across the world. Besides, India's foreign policy speaks volumes about its ideology regarding the world peace. As a member of the UNSC, it will be able to contribute in a better way to the global concerns. Also, getting the developing countries on the board will be helpful for the UNSC to understand and deal the issues related to these economies in a better way. Although the road to the permanent seat in the UNSC is not smooth, the efforts must be continued from India's end in order to push this deal further. To conclude we must look at some facts to before we claim a seat as permanent member of UN Security Council. When United Nations was formed, the permanent members were selected on the basis of their beings strong (in a militaristic sense), economically vibrant and capable of displaying international influence. India, during the 1940's would not have met any of these criteria. But even now India is not powerful enough, its economy is not close to being at par with other permanent members and simply adding another country (and thus adding another veto) would make things very complicated. There is always a preference towards selecting economically developing countries that are more highly developed in terms of standard of living, life expectancy, generally health, education etc in order to provide a certain level of stability and create and maintain and display a certain standard. Moreover India must modernise its military to become at par with military of the other super powers to claim a permanent seat in the UN Security Council.